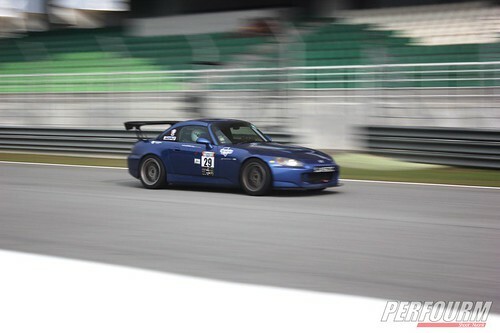 Racing with my S2000: Back to Attack-ing 2013! 2013 was a flurry of activity for me and for the first 3 months of the year there was absolutely zero chance for me to get anywhere near any serious driving on the track. 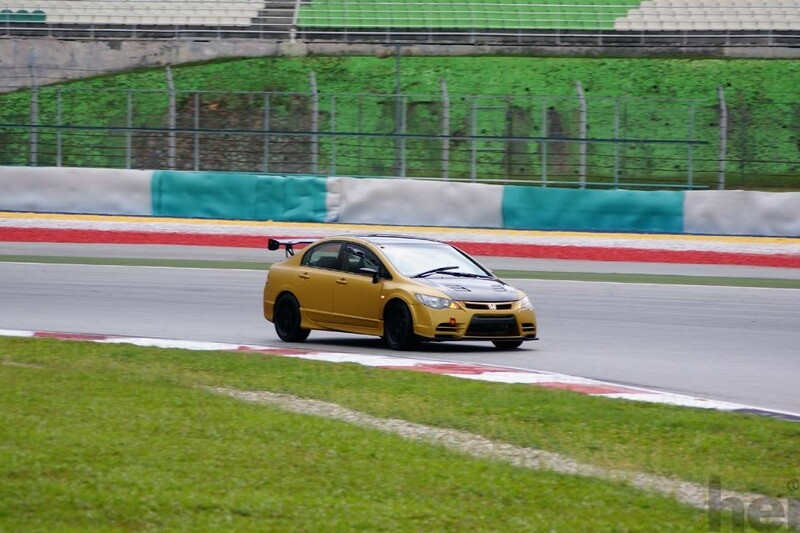 Work and family concerns kept me on my toes so it was a kind of a relief to note that Round 1 of ZeroToHundred Time To Attack at Sepang International Circuit was slated to be held on the 19th of May as that would give me adequate time to prep myself and my car for it. 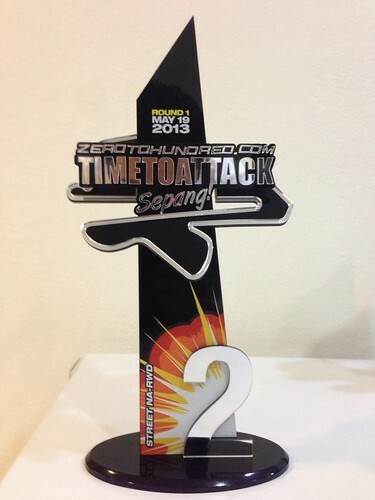 I decided to focus on Time To Attack as opposed to try to compete in both MegaLap and Time To Attack as I did last year for the simple reason that MegaLap had categories that gave me far less chance to win some silverware. 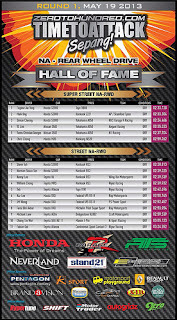 The category I would be classified under permitted virtually every kind of car up to 4WD (4 wheel drive) Turbo cars ( including Mitsubishi Evo's and WRX's) so I would be up against the dominant FWD (front wheel drive) Civic Type R's which were both being helmed by top notch drivers and packing plenty of modifications including big power upgrades. 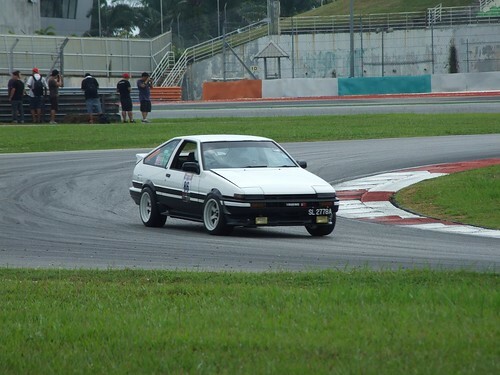 Seeing how my 150,000 km leaky stock engine wouldn't probably be too competitive there, I decided to continue competing in Street (only street tyres allowed) NA (normally aspirated) RWD (rear wheel drive) in Time To Attack and play to a slightly more level field. 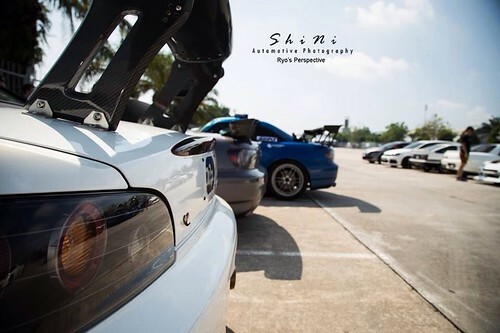 My setup would remain virtually the same as what I used for 2012 meaning only bolt on modifications for power upgrades on my stock engine with a ECU tune to match and handling modifications such as aerodynamic parts rounded upwith suspension items like coilover suspension. 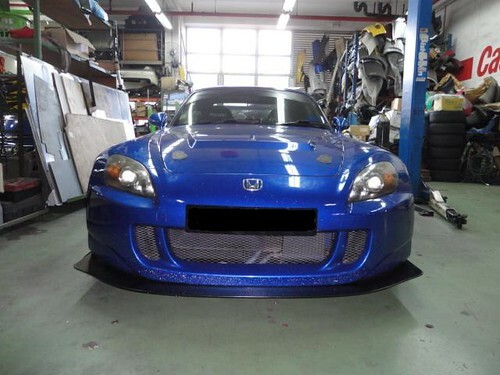 The only tweak made to the car would be the replacement of my APR splitter with a splitter made by Wasp Composites as recommended by my friend Mike Kang of CounterSpace Garage. 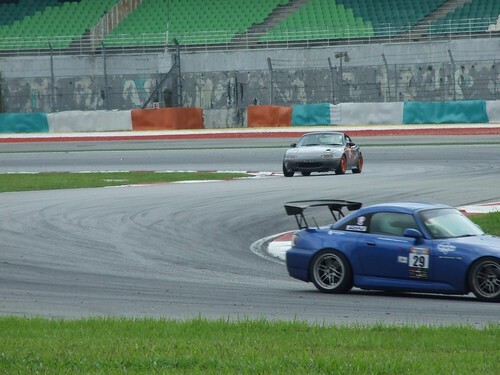 The chassis mounted APR splitter did deliver some downforce when used at higher speeds but the lack of grip I had through Turns 5, 6, 8, 11, 12, 13 due to the higher speeds I was carrying was fairly telling as I could not step on the throttle mid-corner lest I induced understeer. 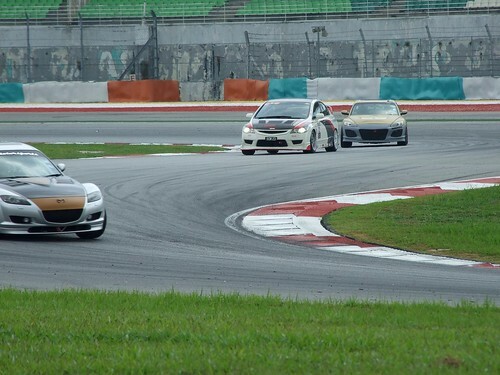 My alignment settings didn't seem to be the issue as at lower speeds the car would respond well but I would experience noticeable understeer once I exceeded cornering speeds above 100+ km/h. I decided to approach Bryan of Wasp Composites to build a splitter for me in dimensions that would keep my car street legal and despite him being a one man show, he managed to wrangle a splitter for me in time for me to use in my track day prior to the actual time attack. 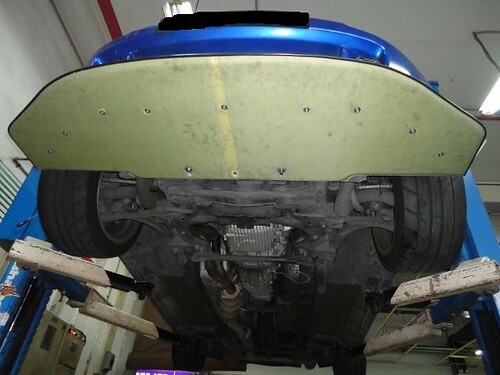 This is how the underside looks like. Note the various attachment points as it is important to spread the loading on the bolts evenly lest too much pressure is exerted on a few bolts which might lead them to fail early. Here is a load testing using yours truly. This splitter is crazy strong! The first time I got to test out this splitter was at the Nova Track Day on the 27th of April. Despite factors such as pretty heavy traffic, a partially wet track and my year old heat cycled out Hankook RS3 tyres, I still managed to eke out at 2:40 flat timing which was just 1.7 secs off my personal best timing. I wasn't very pleased with that as it was worrying that I could not exceed my personal best but further analysis of the line showed that I had significant improvement with the addition of the splitter. 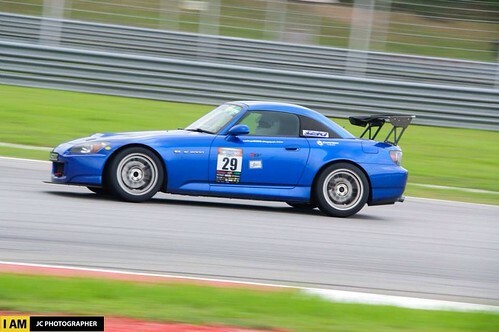 In the first half of the track day, I had increased my wing angle of attack in an attempt to balance what I believed to be much increased front end grip afforded by the addition of the Wasp splitter combined with the wet conditions afoot. This proved to be a huge mistake as what happened was I generated plenty of understeer and was unable to get on the throttle to maximize my corner exit speeds. 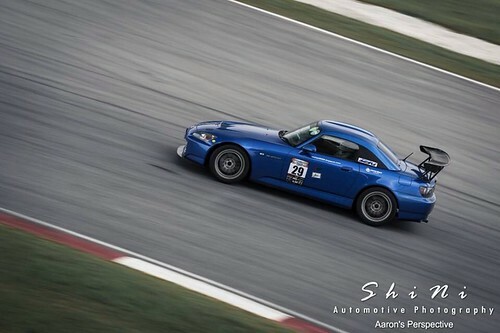 You can see the steeper angle on the wing on my car here. 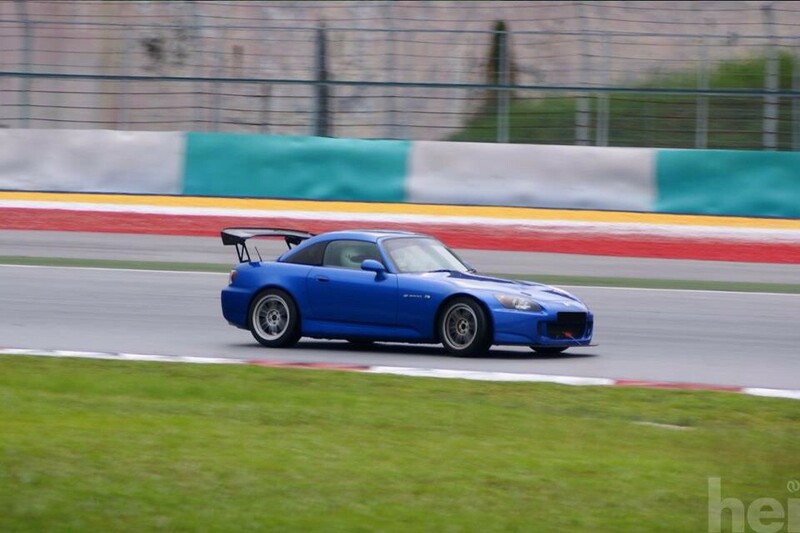 As the track dried slightly towards the second half of the track day, I backed off my wing angle to my original settings in a bid to battle the understeer and thats when the setup really came alive! 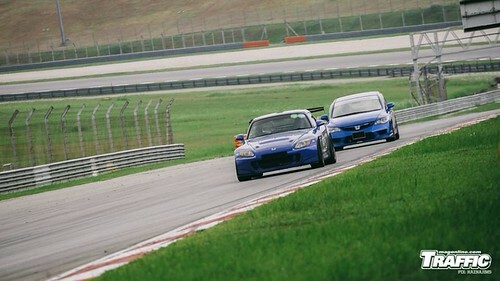 I now had massively responsive steering at virtually any speed and as my confidence grew, began pushing harder in the last half hour of the track day. 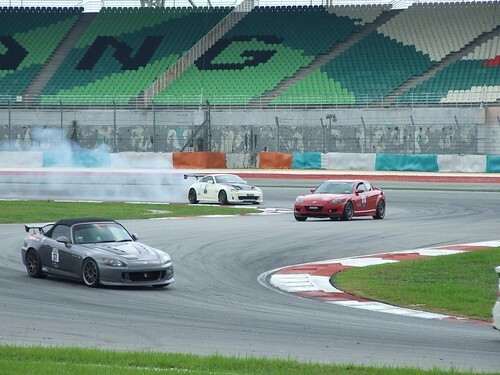 I was now able to almost go 15-20 km/h faster than my previous cornering speeds in the sweepers and in one of the last few laps of the day was chasing down a Nissan R35 GTR by hauling him in every time a high speed corner appeared. 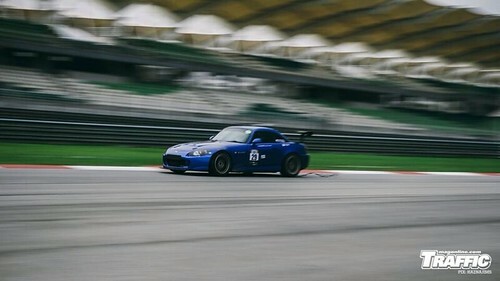 This lap coincided with my fastest lap of the day and jumping into high committment corners like Turn 12 with a light breathe on the throttle was now pretty confidence inspiring as the car rotated nicely in a progressive fashion. 1. 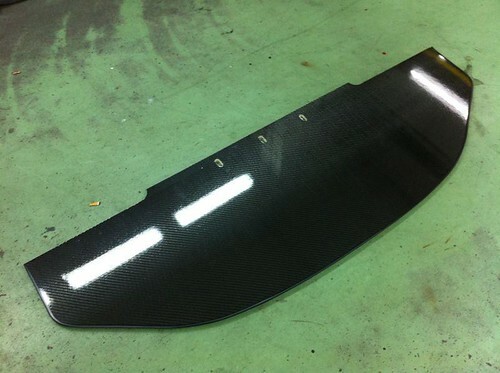 Stiff construction: A flexing splitter will sag from the high downforce caused in the higher speed sections of the track and cause drag thus negating significant reduction in the downforce created. In the end, the addition of the splitter is primarily to generate front grip but there is no point if the splitter material is far too weak to resist flex when subjected to the downforce at speed. This is especially important since the front edge of the splitter extends outward in front of the car so it would bend under the downforce if the material did not have adequate strength to able to handle the load. The Wasp splitter is a extremely strong and here is a test video by Bryan showing that. 2. 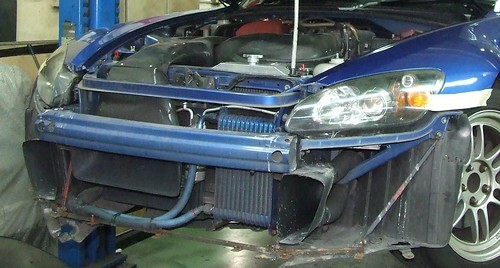 Proper mounting: The mounting of a splitter should first be chassis linked as opposed to attached to the bumper as the downforce generated might even force the splitter to rip off the bumper. The linkage to the chassis also means the forces are directly acting on the chassis thus giving the most direct change in handling. I constructed a mounting strong enough to withstand the increased downforce the car would experience at high speed with a frame mounted inside my bumper and a spread of mounting points to distribute the load each bolt would take. 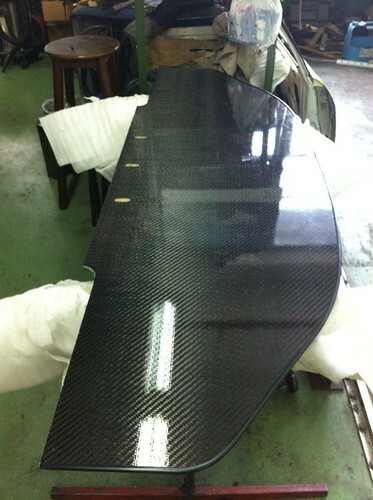 Here is a picture of how the frame looks like. 3. Drag considerations: This is an admittedly difficult area to comment on as it is rather complex but a properly fitted splitter setup delivering good front end grip should not have significant increase in drag resulting in lower high speeds on the track. My first run on the the splitter showed that my maximum speeds on the straight remained virtually the same as they were before as when I was on earlier smaller splitter setup and tallying with someone on the Honda OEM Type S aero kit also showed me doing roughly the front straight speeds. 4. Durability: The Kevlar undercoat along with the clearcoat that Bryan uses to wrap around the splitter makes it very tough to withstand the abuse from stone chips and off track excursions. Having made two untimely off track excursions in a single event yet having the splitter look nothing like being any worse off, except for some dirt, is solid proof of the durability of the product. Here is a shot of clearcoat still nice and clean before fitment. 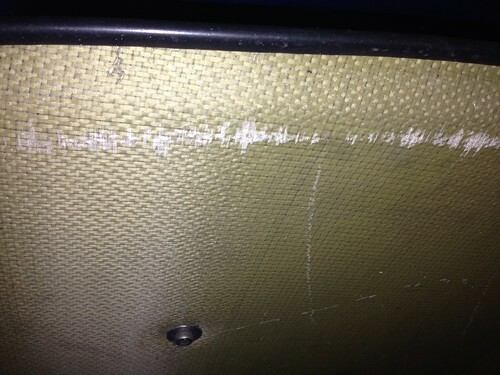 After two very rapid excursions into the gravel, this is the barely noticeable damage on the splitter. In all three considerations above, I'm pleased to note that the Wasp Composite Race splitter delivers as promised with Bryan's good customer service and a keen understanding of my needs despite being a virtual one man show. Thanks Bryan! Sitting back and analysing the data after the Nova track day led me to believe that I was quicker in the high speed sweepers due to the added turning ability afforded by the addition of the splitter even as I suffered from worn bushings which limited my caster which should have offset the splitter benefits by some degree. 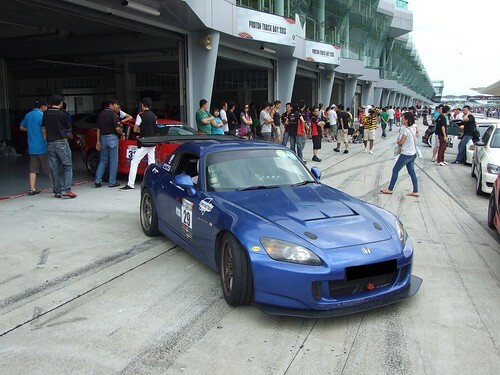 Cautiously optimistic, I put on a set of new directionally vented Science Of Speed rotors together with a fresh set of Ferodo Racing DS 1.11 ceramic brake pads and prepared my car for Round 1 of Time To Attack 2013. I had also a fresh set of Hankook RS3's fitted as my year old tyres were probably already significantly hardened to a point that lap times would begin to fall. 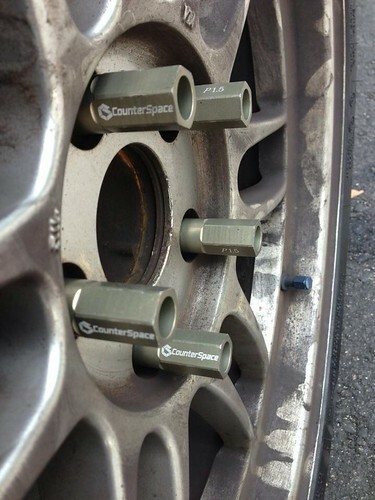 Mike Kang from CounterSpace Garage was kind enough to hook me up with a limited edition set of gorgeous lug nuts. Thanks bro! Making the long drive up with the company of my friend Wern Rune (WR) riding shotgun, we reached the track with some time to spare and prepped the car for the race with WR doing his best to help me with preparations such as tyre pressure release and damper settings. The crowd turnout for Time To Attack was as usual nothing short of totally awesome. From NSX's sprouting multiple aero bits to massively modified Nissan Silvias, the competition all around seemed way more fierce than it was last year. In the Street NA RWD class, my friend (and fellow competitor) Steve Toh in his chilli padi red AP1.5 S2000 and I were now again faced once again with a Toyota 86 sponsored by Wing Hin Motorsportsbut had additional competition in the shape of a Riyoz Racing MR2 and a Toyota Altezza which I believe was also supported by Riyoz Racing. Before I knew it, it was time to get my gear on, say a quick prayer and prepare to exit the pit lane to clock our fastest laps together with all the other NA category competitors. A delay to my tyre shipment meant I was running my first laps on the waxy surface of my spanking new RS3's and I would have to be a little more cautious about the grip since I'd have less of it to begin with. A pic taken by Traffic Online Magazine showing the traffic I had to manage. It seemed good for the first 2-3 laps as I carefully drove around the gradually grippier tyres to do 2:41 lap times but during the 4th out lap, disaster struck. 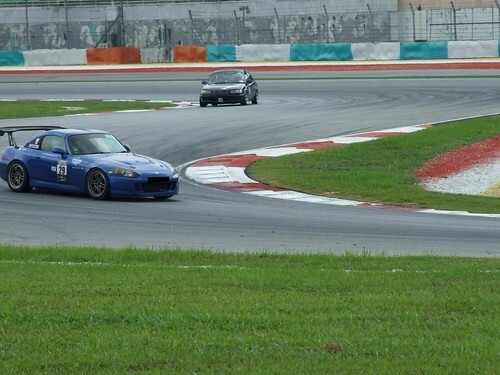 A Civic that I was catching up to on the exit of Turn 6 seemed to overspeed and began ploughing with massive understeer towards the rumble strips. Seeing how the angle of the steering was virtually turned to the maximum and he was about to spin right in front of me, I made the tough decision to go head on into the gravel to avoid T boning him and got stuck in the gravel trap. To say I absolutely disheartened would be an understatement as I knew how much the gravel would mess up my alignment settings along with me not being able to complete more laps but having to waste time waiting for a tow truck to come and extract me. Just as my gravel ridden car was towed back to the pits, I realized I was now sans a right side rear brake duct due to the off track excursion. 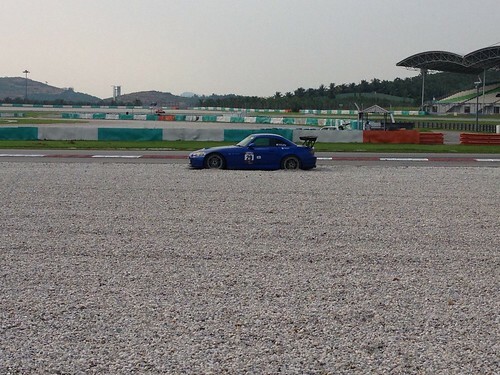 Frustrated and down, I contemplated heading home early as I knew that my car would probably not be as competitive due to the messed up alignment settings but my friend Mark Ong told me to try and clear the stones out with a quick drive and have a go in the second session of the day. Taking his advice, I drove out of the track to the main road and rid myself of as many stones I could with a bit of acceleration and braking. 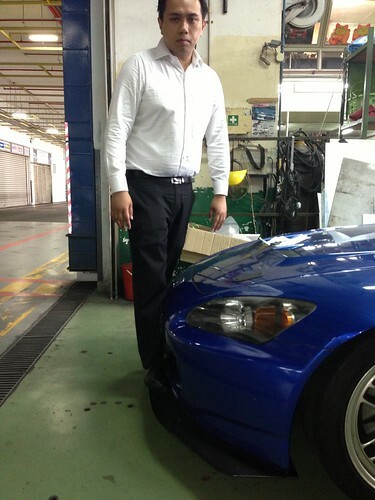 I had to also use a knife to pick out a stone stuck in my rear left caliper for safety lest it get stuck in my brakes. The run had me clocking a 2:41 which was only good enough for 4th position behind Steve Toh in 1st, Kenny Lee in 2nd and William Chong in 3rd. Wiping up the car a bit, I composed myself for the second run and prayed a bit that the second lap would go a bit better than the first. Traffic was heavy and I had to force my way past competitors despite this not being wheel to wheel racing. 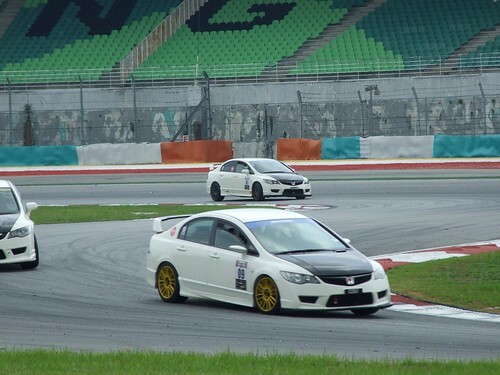 This time I was faced with passing another Civic which I had quite a problem trying to make a clean pass. 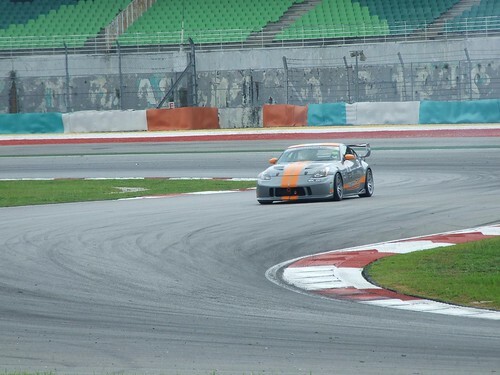 Thankfully some of the more experienced drivers, such as William Chong of the Riyoz Racing MRS which is definitely a competitive car helmed by a extremely competent driver as evidenced by the timings, allowed me to pass cleanly so both he & I did not have to worry about each other affecting one another's times. Thumbs up for great driver race craft! 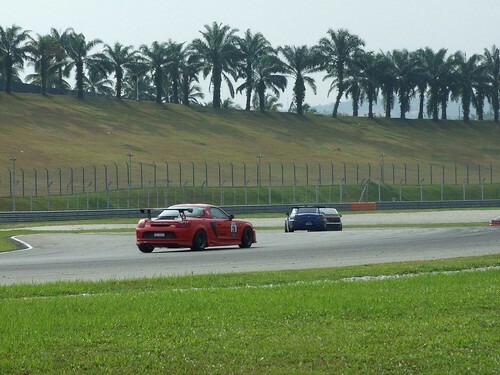 Driving more aggressively I began to see even higher speeds on the sweepers than what I noticed from my prior track day and was virtually able to use the sweepers as a passing point such was my improvement in the higher speed sections. Yet I realized the car tracked oddly and I knew I needed to be careful as the change in driving was likely due to the messed up alignment due to the gravel pit excursion as I had feared. I was now faced with an additional issue as for some reason my coolant temperatures were 5-8 degrees higher than what I normally had so I had to keep revs down to below 8000 to keep the temperature rise in check! Running with less power and noticeably less grip, I tried my utmost to keep speeds up to get my fastest times by relying more on placing myself well for the higher speed stuff where I seemed to have more grip. 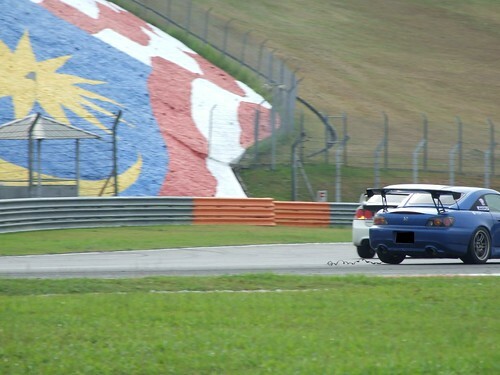 It may have been a time attack but the traffic was no less than a regular high attendance track day, difference being everyone was giving it their 100% in driving ability. 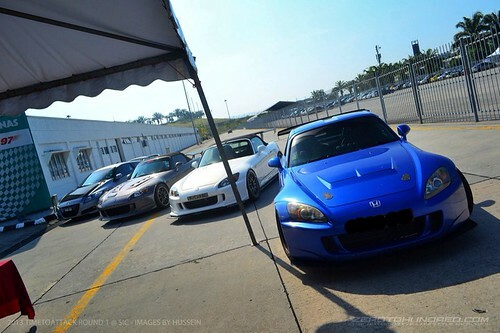 Here are some of the other cars I met on the track. 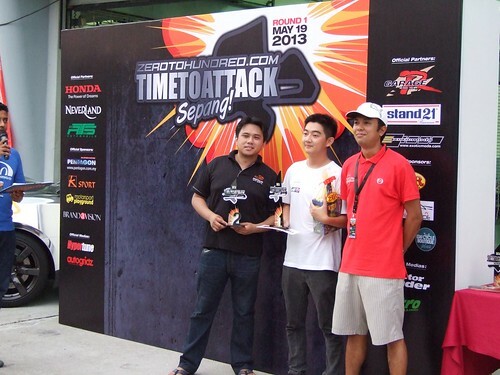 Photo by Perfourm, an online motorsport blog all the way from Indonesia, ZTH is going regional! As it would have it, I would be twice as "lucky" as my first run group and caught up on the exit of Turn 6 to yet another Civic. 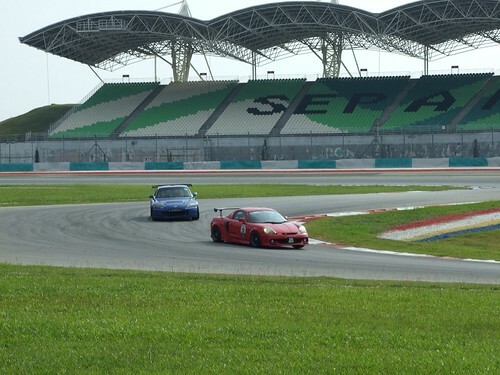 I was side by side with him into Turn 7 and I tried to overspeed a little to gain the edge to lead him going into Turn 7. This led me to slightly oversteer in between Turn 7 and Turn 8 but somehow the rumble strips upset the tail of my car causing me to partially spin and dive straight into the gravel trap at the exit of Turn 8 leaving me stranded in the gravel yet again! Rather numb by now to the off track excursions, I just walked off to the tyre barrier and sat grumpily waiting for the tow truck to come yet again. On the way back to the pits, I realized with horror that my left rear brake duct was now missing in action and I had been dragging a tail of brake duct hosing all the way back to the pits! More ducting again but still attacking! Both mortified and frustrated, I felt rather resigned to my fate and walked down to check my results at the usual pit wall where they were posted. 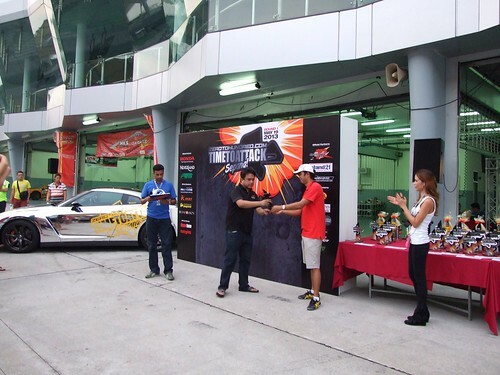 Surprisingly, I had managed a time just 0.7 secs off my personal best and just 0.15 secs of the leading car which was my friend Steve Toh meaning I had managed to place 2nd with a 2:39 flat despite the odds! 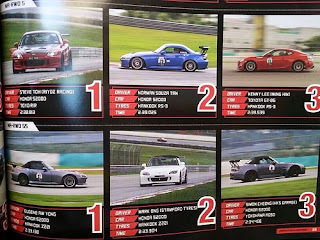 The competition was intense as evidenced by the timing gap from the 1st car to the 3th car in my category all falling within a 0.8 second range. 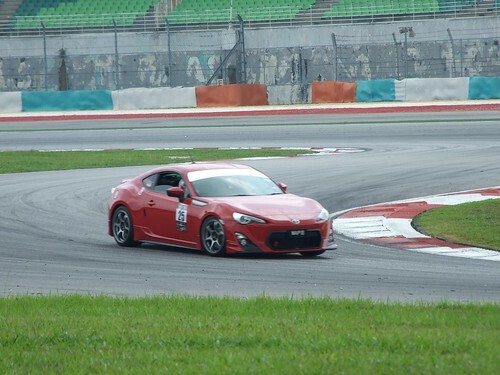 The 3rd and 4th position fell to the Wing Hin Motorsport Toyota 86 driven by Kenny Lee and the Riyoz Racing MRS driven by William Chong respectively. 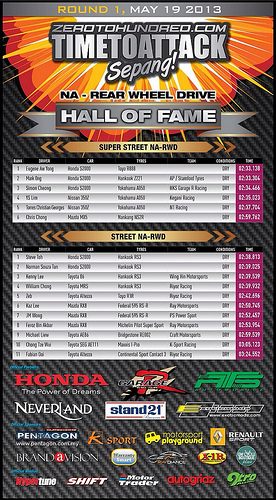 Here are the leader board standings in the Street NA Classes. Pic from ZeroToHundred magazine for the NA RWD class winners with a nice summary of the podium finishers. 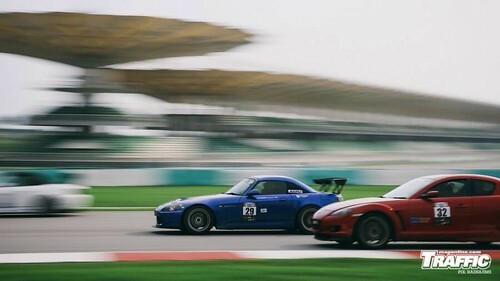 The close result had me rueing how close I was to win but I chalked the miss of 1st place down to both to my poor preparation to run in my fresh tyres beforehand and to plain bad luck at the mechanical issues faced combined with the off track incident. Divine help meant I had walked away from the gravel excursions without a scratch and my car was seemed fine despite the rock chipping off some paint and stripping me of my rear brake ducts. 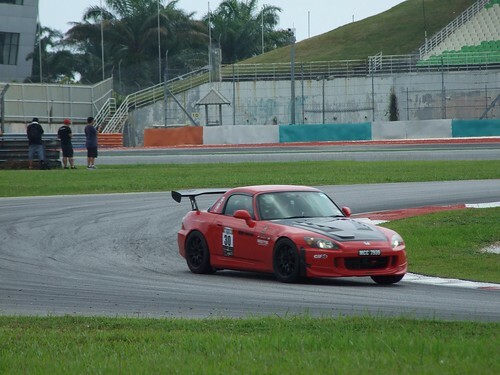 Exhausted but elated, I received my trophy knowing I was moving up the rankings of the Street NA RWD drivers on both sides of the Causeway and that the current setup had capabilities I was far from unlocking the maximum potential of. Taking a peek at the data showed me how much quicker I was through the critical corners of high speed sweepers I had a knack of being confident in and the speeds shown were even higher than my previous speeds I saw in my April track day. Despite the issues of heavy traffic, a caster problem which knocked off 1.5 degrees of the caster I should have got, not adequately scrubbing in my fresh tyres, a slightly vibrating brake pedal which forced me brake a touch earlier and the overheating issue which limited my revs to 7900, the timing achieved was reasonable but its interesting to note how much potentially quicker the car should have been with the gremlins sorted out. All in all, the data seemed to point that that I had probably easily a few seconds to knock off as long as the conditions were right leading me to hope I can up my driving to match the potential of my car to grab the win the next round as the setup i conceptualized seemed to be working the way I want it to. Here are more pics from the event....Enjoy! I'm betting that you will play a key role. I've always greatly appreciated your help in the pits! Try to check this video, view from my car.